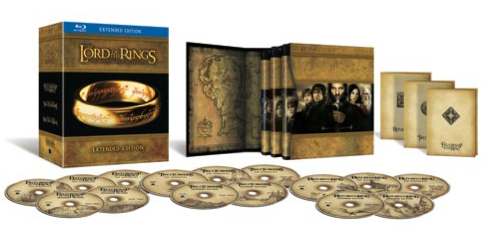 The Lord Of The Rings Trilogy Box Set comprising all three extended editions! The final battle for Middle-earth begins. Frodo and Sam, led by Gollum, continue their dangerous mission toward the fires of Mount Doom in order to destroy the One Ring. Aragorn struggles to fulfill his legacy as he leads his outnumbered followers against the growing power of the Dark Lord Sauron, so that the Ring-bearer may complete his quest. Winner of 2 Academy Awards.